Are you ready for spring break in a sun-filled island paradise? Key West is one of the most eccentric party destinations in the world with its hopping nightclubs, incredible sunsets, great food and laid-back attitude where just about anything goes. Come to Gay Key West for Spring Break where you’ll fit right in and feel welcomed. Check out www.gayspringbreakkeywest.com for more info. Summer camp will never be the same! Kamp Key West is an adult summer camp full of fun in the sun and on the water! This annual event is made for you LGBTA outdoor lovers with games and activities from the ‘ole days in summer camp but with an adult twist. Check out www.kampkeywest.org for more info. 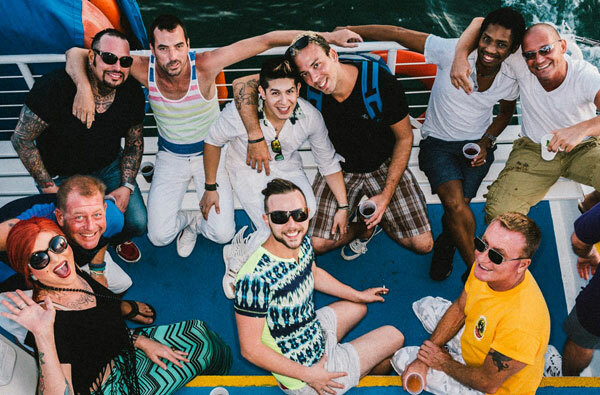 Join us for Key West Pride in tropical paradise known for its laid-back flavor and party scene. Not to mention the island’s accepting ideology and One Human Family credo, Key West welcomes everyone. Show your pride this summer and make your way to Key West! 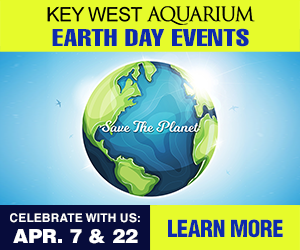 Visit www.keywestpride.org for more info. Key West Tropical Heat is the premier event for you men out there! This all-male four-day bash will include pool parties, themed events and plenty of adult entertainment. Visit www.tropicalheatkw.com/ for more info. Key West welcomes women from all over the world for an annual celebration of one of the largest lesbian gatherings, Womenfest! Each year thousands of ladies flock to Key West over Labor Day weekend for tons of fun activities and events during the four-day stretch. Join us in paradise with thousands of hot ladies for an event that gets better each year! Visit www.womenfest.com for more info. The annual Headdress Ball is Fantasy Fest’s premier gay and lesbian event. This incredible entertainment will begin at 8pm, but come early to enjoy mingling near the street vendors and USS Ingham. This year’s Headdress Ball will take place at the Truman Waterfront. Visit www.headdressballkeywest.com for more info. Hot Pink Holidays brings the holiday season to the island paradise! For shoppers looking for great discounts, then you’ll love this four-day affair. Key West will be packed with retailers offering unbeatable deals for the bargain shopper. Visit www.hotpinkholidays.org for more info. On the corner of Duval Street & Petronia, Bourbon St. Pub has a little bit of everything for gay men visiting Key West. Every night starting at 10pm, you can find the “Men of Bourbon” dancing on the bar for your entertainment, daily drink specials & if you want to play & stay, there’s a connected all-male guesthouse called New Orleans House. Drag Shows by the Aquanettes every night, weekly karaoke & epic dance parties. Dinner, drinks & live music; the perfect spot for a nightcap. Converse with friendly bartenders, cruise for singles or sip your drink & enjoy the ambience. An all-in-one destination for everything LGBTQ! Lodging, restaurants, bars & cabaret shows! Be sure to check out the Christopher Peterson’s Eyecons show or Randy Roberts’ Live Show: a tribute to the queens of entertainment, Cher & Bette Midler. Ready to get hot & sweaty? You have to check out Key West’s one and only gay leather bar, Saloon One. Located on Petronia street & open daily 5pm-4am, this establishment offers a variety of fun for whatever you’re into. Clothing optional bar tucked away on the rooftop of the Whistle Stop bar on Duval. While in Key West, if you’re looking for something a little different, be sure to stop at here for some dancing, drinking & all around great time. Bikes are a big part of Key West transportation. There is so much to see, even in the small space, that biking is the perfect way to get around & take in the surroundings. You can find rentals pretty much anywhere on the island, FURY company offers daily bike rentals with different rates depending on length of rental! Scooters are another popular way to get around. Whether you want to hit up certain spots, or cruise for singles up and down Duval, be sure to save some money to rent one out! If you’re in Key West to meet new people, you may want to try the only all-male water adventures company in Key West! This company provides several tours you can go on, some include a few hours at a favorite sandbar spot for clothing-optional swimming, drinking & playing. While you’ll be sure to find LGBTQ beach-goers at any beach in Key West, try specifically Smathers beach, a popular spot for gay sunbathers & Higgs Beach.